POSTCARDS FROM IRELAND .. Map... 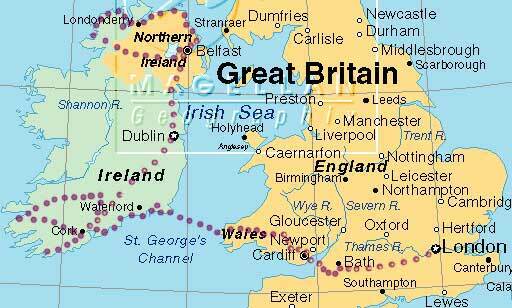 This series covers London to Belfast. The ride through Northern Ireland and Donegal will be posted later. Since trains welcome bikers, I rode them at times. Most of my food came from vegetarian restaurants or food stores, fresh raw vegetables, lots of fiber, bread, and no fat.